1996 and 2010 were cold throughout, so not mentioned. 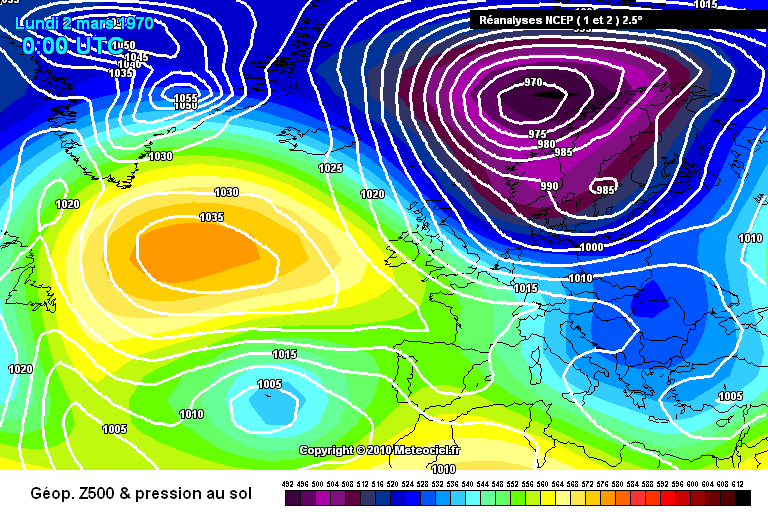 Easterlies and northerlies become more likely from mid February onwards. 2019 won't be joining the list though. I've noticed the frequency of Northerlies has died down a lot over the years. This confirms what I thought. 1995 was more cold west to WNW than Nlys cold zonality but that's the only nitpick on that. 1998 that low south of Iceland disturbed the cold well and truly from that Greenland high. Got done to -8c and then an ice day. I have noticed that cold unstable North Westerlies are becoming much less frequent. 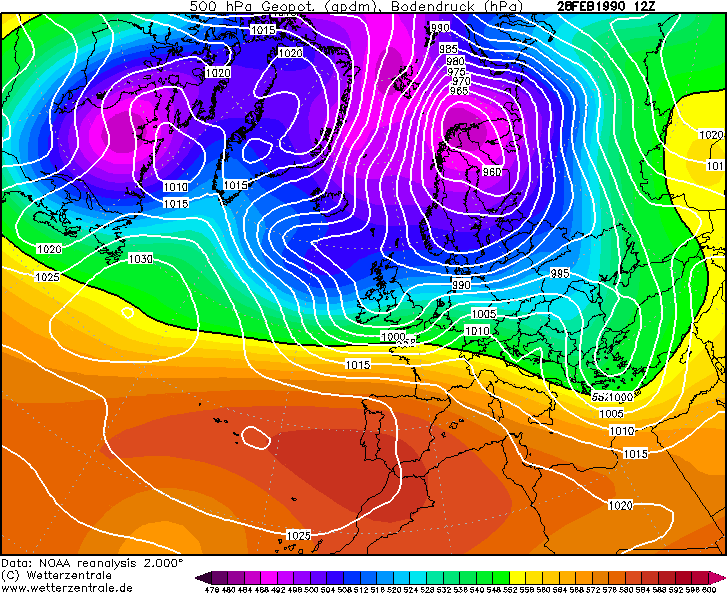 Some cold northwesterlies might be on the cards this March, thanks to the significant cold pool to our NW which has been patiently waiting to move our way.. I hope we don't get any cold weather now. I'm enjoying been out in the garden with a tee shirt on . I'd rather wait till December and chase the 10 day charts again. Very interesting thread you've started here, dl. Going back even further, 1970 saw a very wintry start to Spring. High Pressure to the west of the U.K, retreated a little further westwards and allowed a direct plunge from the Arctic, to surge down the country. 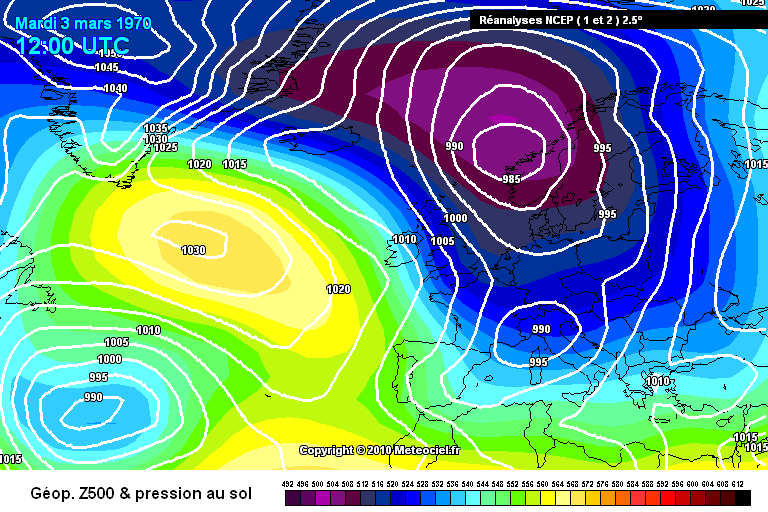 On the 3rd, a disturbance ran SSE, from Iceland and brought some heavy snow, especially to the S.E,, of the U.K.
By the time this disturbance had exited the south coast of England, it had developed into a fully fledged low, leaving copious amounts of snow, in it's wake. Below is a description of the weather in March 1970 (inc. this event), from Trevor Harley's excellent, "British Weather", website. "1970 Very cold (3.7C CET) overall. The month started with northerly winds. There was a major and unexpected snowfall on the 4th, heavy enough to bring down power lines in Kent. Some parts of Northants. and Beds. reported about 40 cms of snow, with the deepest being nearly 48cm near Northampton. Snow fell heavily for twelve hours across a wide part of the south. In parts of the north southeast (if you see what I mean) and the East Midlands it was the heaviest snowfall since 1947. Near Bedford 36 cms of snow lay after 24 hours of snow. The snow was followed by some low temperatures in a northerly air flow, with -15C recorded. The snow covered lasted for more than a week, in sunshine." I was fourteen at the time and it was an amazing start to Spring. I'm sure those members who are lovers of snow, wouldn't turn their nose up at a similar event, even though they may be enjoying the current spell of unseasonable warmth. Again from Trevor Harley. Here is 1975 following a very mild Winter. I had an Easter holiday job delivering laundry up to Speyside that year and remember the snow in the Highlands well. May plus the first few days of June continued with cold (the famous early June snowfall) and then the weather flipped to warmth and sunshine. Just for info here are Trevor Harley’s reports of May and June too. ”May. Dry but cold (9.9C). After an unsettled first two days, it was a predominately easterly month with some northerlies led to very high sunshine totals in western Scotland - e.g. 329.2 hours on Tiree in the Inner Hebrides, making it Scotland's sunniest month ever. It was very dry in thewest. Much wetter and duller in the east. The coldest May since 1941in the south, with some damaging frosts. The temperature of -5.1C at Carnwath, Lanark, on the 31st, is a record low for this time of year. The only potent straight Northerlies that I can think of this Century were late Feb/early March 2006 and late Jan 2003. Others were either very brief or from the NW or NE. This lack of Northerlies is why Aberdeen has had such below average snow in the past few years and I suspect has lost its record as the UK’s snowiest city in this current decade. 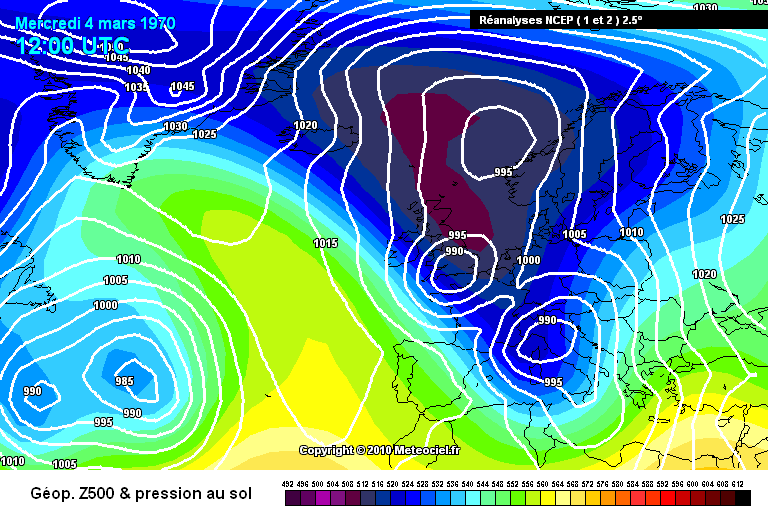 25th November 2005 and 19th/20th March 2007 were also straight northerlies, the former being quite a potent one too. That's stretching it. It quickly became mild. It wasn't even that cold, I remember seeing snow on the 28th February but maximum was 6C, by the 3rd it was just over 12C. Didn't even see a frost! I should have said sustained though I had forgotten all about that November 2005 Northerly. I think that the March 2007 one toppled fairly quickly afterwards. Next morning, there were some absolutely cracking intense hail and snow showers. Didn't last though and March ending being exceptionally mild as well. I'm pretty sure the 17th/18th December 2010 was a direct Northerly. I got 1 foot of snow from it in Donegal. End of December 2000 was another potent Northerly. Anyway it's sad times. Edit sorry veering a bit off the topic of the cold ends to mild Winters. Yes indeed, only a two day affair, starting off as a northwesterly, but looks lovely on the archive charts. Yep end of February 26th to march 2... 1990 was very lively indeed thunder wind storms heavy hail stormy winds already said then snow/rain snow and severe gales.